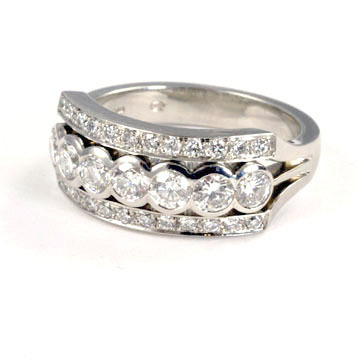 7 diamonds, collette set, with diamond border above and below. 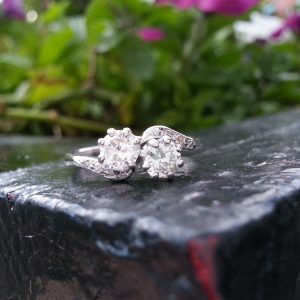 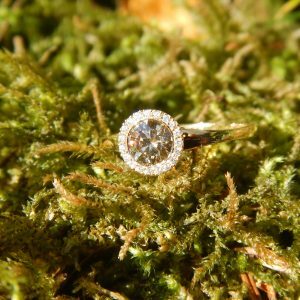 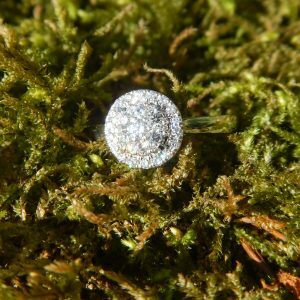 Total diamond weight 1.09ct, G colour, VS clarity. 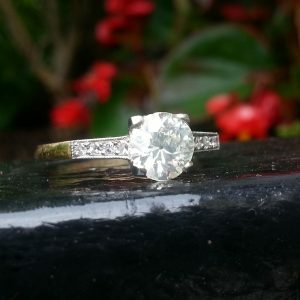 18ct white gold.